So apparently I have an obsession with finger nail polish. The funny thing though - you will never find it on my fingers! Anyone that knows me knows I've been a nail biter since.... well.... the day I was born! It's a nasty, ugly, disgusting habit, but I just can't stop, won't stop. My toe nails always have a color on them, but my finger nails - well they are that ugly that even a little hot pink or coral couldn't make them look any better. 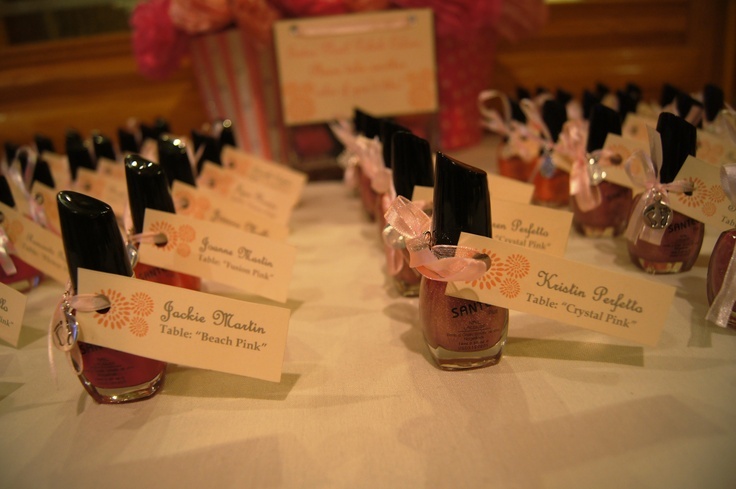 My obsession goes beyond painting my toes - I'm obsessed with nail polish party favors! 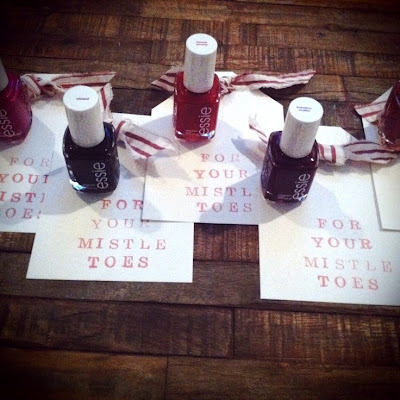 Last year I gave out nail polish as party favors 2 times in 4 months, so I'm sure girls who come to events at my house are catching onto me, but I just can't help it! 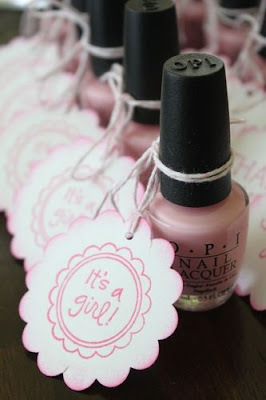 There are so many cute ways to present it! Boy oh Boy! Blue Nail Polish Party Favors for a "Real Housewives Baby Shower"
This year we actually hosted all 5 of our Christmases (my immediate family, mom's side, dad's side, mother-in-law, father-in-law) at our house this year, so what kind of hostess would I be if I didn't have a little gift for each of my favorite ladies?! 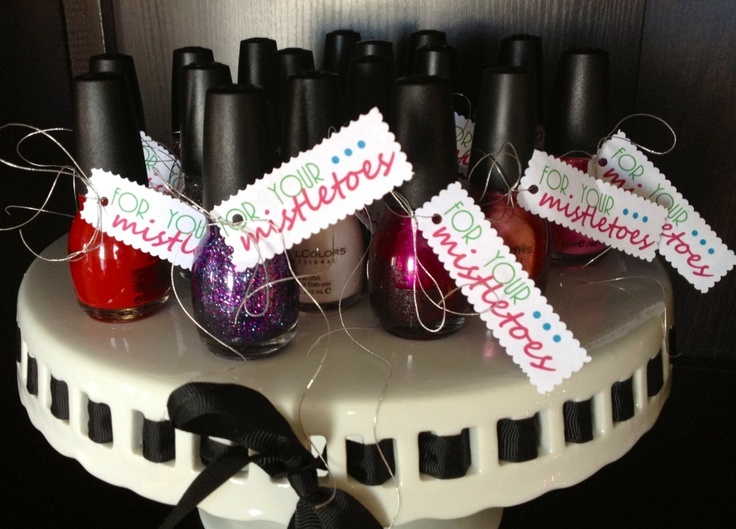 I purchased 15 different nail polishes and had all ladies pick out a color once they arrived. Fun little surprise to receive ... and to give! I truly appreciate some Essie or Opi on my nails, but I can't justify coughing up $8 on each party favor when you have 15-20 to pass out, so I stumbled upon an awesome alternative... Sinful Colors. They have a TON of fun colors (I think I found 10 different blues when I was looking for a boy baby shower) and you can't beat the $1.99 price tag! Plus, the bottles look nicer than Wet & Wild or other discount nail polishes. $2 for a party favor is practical and perfectly acceptable! My local Walgreens and Walmart both carry Sinful Colors, but I am sure you can find them elsewhere. 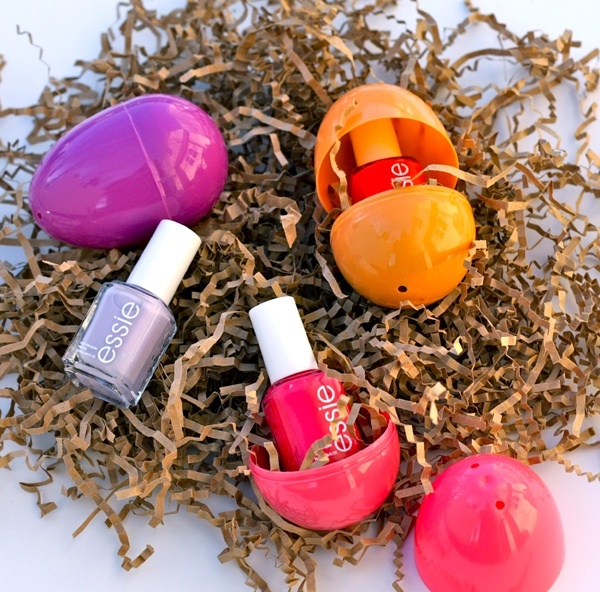 Nail Polish in matching Easter Eggs ... if I hosted Easter this year I would have totally done this! 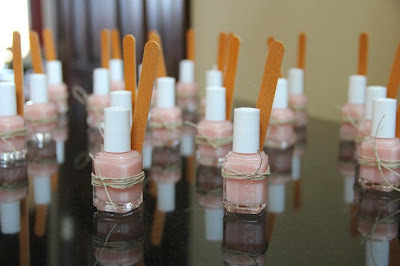 Nail Polish & file tied with simple twine - LOVE! You don't ALWAYS need a tag for everything! How did you make the "Boy Oh Boy" tags? Did you buy them somewhere?